﻿ Enter City Hotel Tromsø. JIMAT di Agoda.com! Hotel ini terletak berhampiran dengan jalan pejalan kaki Storgata dan 200 meter dari Tromsø Cathedral. Setiap bilik menawarkan WiFi percuma, TV skrin rata dan lantai bilik mandi yang dipanaskan. Semua bilik kalis bunyi di City Living Hotel mempunyai hiasan moden dan dilengkapi dengan TV kabel. Bilik-bilik ini mempunyai dapur yang serba lengkap atau dapur kecil yang dilengkapi dengan peti sejuk dan alat untuk membuat teh/kopi. Tetamu di Hotel City Living boleh mengakses bilik dobi/cucian yang dilengkapi dengan mesin basuh, mesin pengering pakaian dan peralatan menyeterika secara percuma. Perkhidmatan lain yang disediakan termasuk simpanan bagasi di kaunter penerimaan tetamu. City Living berjarak kurang daripada 15 minit berjalan kaki dari tarikan-tarikan seperti Muzium Polar dan Polaria Aquarium. Terminal feri Hurtigruten terletak hanya dalam jarak 300 meter. 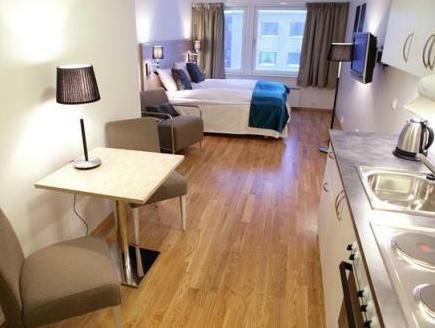 We had to book this hotel as the hotel as part is our stay in Tromso. Having stayed in Clarion hotel, we noticed the difference in standard. The price was more expensive than the Clarion hotel at the time of our stay. The hotel receptionist was very friendly and helpful. However, she said there will be extra towels and toiletries trolley available on the floor as the rooms are not cleaned every day, but there were not. The room was so fishy, presumably the previous guests cooked in the room. The reception also closed early for the holiday period and could not get much help. It is not a hotel but more like a hostel. 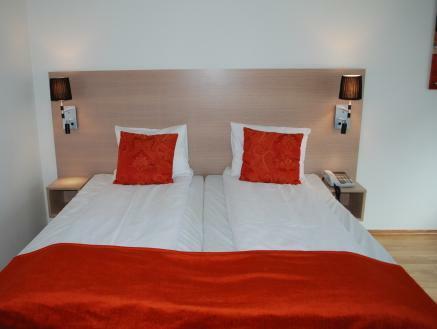 Our advice is don’t book it too late as there are not many good standard hotels in Tromso. A lady hotel reception amazing friendly and draw me whole map where to go and eat around Tromso. Hotel is apartment type with kitchen and cooking materials available include pots, knife and all bowls and plates! We went to supermarket get alots stuffs to cook and really save alots money in Tromso, they are really expensive in everythg! Tromso is small town so everywhr was in the walking distance. Nothg can do in winter after 3pm because sky is so dark..
We’ve booked this service apartment from 28Oct to 31Oct 2017. The location is superb, we alight from the Hurtigruten cruise ship and its just 5-7mins walk from the port. There’s a supermarket just 2 mins or less walk. 10 mins taxi ride to the airport and its even cheaper than taking the flybussen which is recommended by the ever friendly reception guy. Forgotten to note down his name. He also recommended us to go to Riso cafe and the food and coffee is heavenly there! I was also pretty surprised that an additional bed was setup and 3 sets of towels prepared for us when we checked in which I did not ask for. I only indicated that we are 2 adults and 1 child! We really appreciate the thoughtfulness of the staff in this hotel. Its definitely recommended to stay here in Tromso! 2 thumbs up!! This is my best stay during my Scandinavian trip in November . Got a free upgrade to one bedroom apartment from double room. 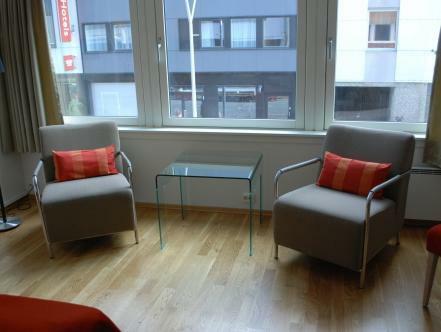 The apartment is very spacious with living room , dining table , fully equipped kitchen. Will definitely come back again. Our room came with full kitchen facilities and heated floor in the bathroom. Staff friendly. Location close to everything. Will choose this hotel again. Perfect for what we needed, arrived after hours, key ready for us next door, very clean n warm, great location. Strategic location, close to main street but without the noise. Reception closes at 10pm but keys can be picked up at another hotel. Spacious apartment with kitchenette. No washing machine, which is a disappointment. Location was near airport just 5-10 mins by taxi . Although lift was spoilt staff brought out bags up to the 4th storey . Kitchen was equipped . The room is big. The staff is friendly. The location is near to bus stand to airport (no.42 and flybussen), the room is comfortable and the amenities in the room is perfect!!! Stay here for one night. The room is clean and there is cooking amenities. Staff is friendly. The bus stand for bus no.42 is not far from the hotel. Close to perfect except for the rough terrain dragging our luggage from the airport bus stop to the hotel. Location was close to everything, especially close to the airport bus. Staff was willing and helpful. 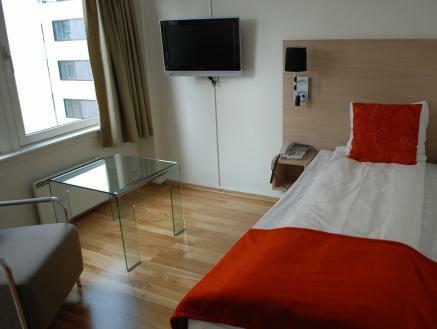 Its a perfect place to stay in this wonderful artic circle, Tromso. As we approached the hotel I was a little disappointed as it's an ugly duckling from the outside. However, the check in was warm and friendly and once inside the apartment, we liked the apace and the kitchen/diner concept with all needed utensils. Its fairly modern and quite bright. Its great to have the ability to cook something light rather than dine out each day in expensive Norway. 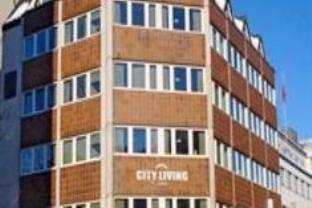 The City Living Hotel also has laundry facilities at the guests disposal which is useful. It was a short walk 5 minute walk to the dock area, polar museum and restaurants. The bridge over to the cable car is just a few minutes walk away. Within 20 or so minutes you can walk over the bridge to The Arctic Cathedral. The Cable Car is another 10 minutes walk past Arctic Cathedral. Parking on the street was available just to the side of the hotel (free from midday Saturday until 8am Monday morning). There are also a couple of public car parks within a stone,s throw from the hotel. I,d recommend it to fiends. I was greeted with the friendliest smile as arrived to check-in. staffs are extremely helpful and attentive. They were at counter till 11pm each night. All major spots in Tromsø are within walking distance. Room is clean, equipped with stove. it's an apartment hence no house-keeping. Location is good as close to the bus stop and main street. Room and bathroom is clean and comfortable. The kitchen is good as you can prepare some hot dish or if you don't want to have your meal at the restaurant. Good location, room is big enough and having a little kitchen. Good location, room is big enough and having little kitchen. Very noise if the room is facing main street. The most annoying me is the washroom, after shower, the water is all over floor and it won't dry out after a day. 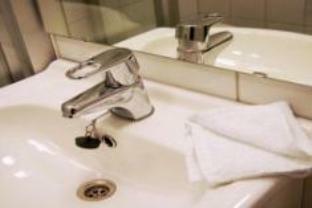 The stay was very comfortable and the staff are friendly and responsive.